The Pontifical Catholic University of Peru is a community of professors, students and graduates devoted to train professionals of high academic level. Founded in 1917, the Pontifical Catholic University of Peru was the first private high education institution established in our city. Located in a 43-acre campus with 22,000 students; its professors, students and alumni are engaged in achieving a high academic and research level, projecting their task to the entire national community. Through its Academic Office of Institutional Affairs, our institution has become one of the most active Peruvian universities worldwide. Each semester, we receive a large number of foreign students who enroll in the university for a semester or a year. 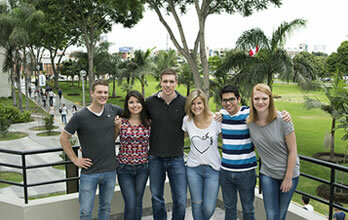 PUCP manages several special and summer programs, and sends students to partner universities abroad. The university maintains an exchange program with more than 150 partner universities in the world and coordinates some student exchange networks. Without any doubt, Peru is one of the most attractive countries in Latin America. It is unique among the countries in the world for its ecological and cultural diversity, astounding landscapes, the personality of its inhabitants, historically rich cities, and beautiful archaeological monuments. Without any doubt, Peru is one of the most attractive countries in Latin America. It is unique among the countries in the world for its ecological and cultural diversity, astounding landscapes, the personality of its inhabitants, historically rich cities, and beautiful archaeological monuments. Located in the central coast of western South America, Peru offers a vast variety of landscapes and climates as a result of the special characteristics of its geographical location. Rich and complex Pre-Columbian civilizations developed there, reaching a high level of civilization in terms of architecture, textiles, ceramics, gold and silver work, among others. The city of Lima, founded in 1535, is the capital of Peru. It is located in the central coast of the region, on the shores of the Pacific Ocean. 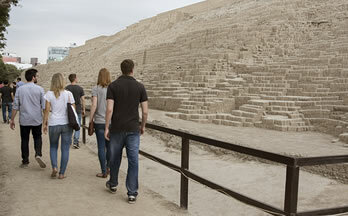 Lima houses around 8 million people; there the past and the present intertwine in such a way as to have archaeological evidences of ancient civilizations as part of this modern and cosmopolitan city.